Cookie of Blueberry Powder. | ostrich milk. Study: Blueberry. 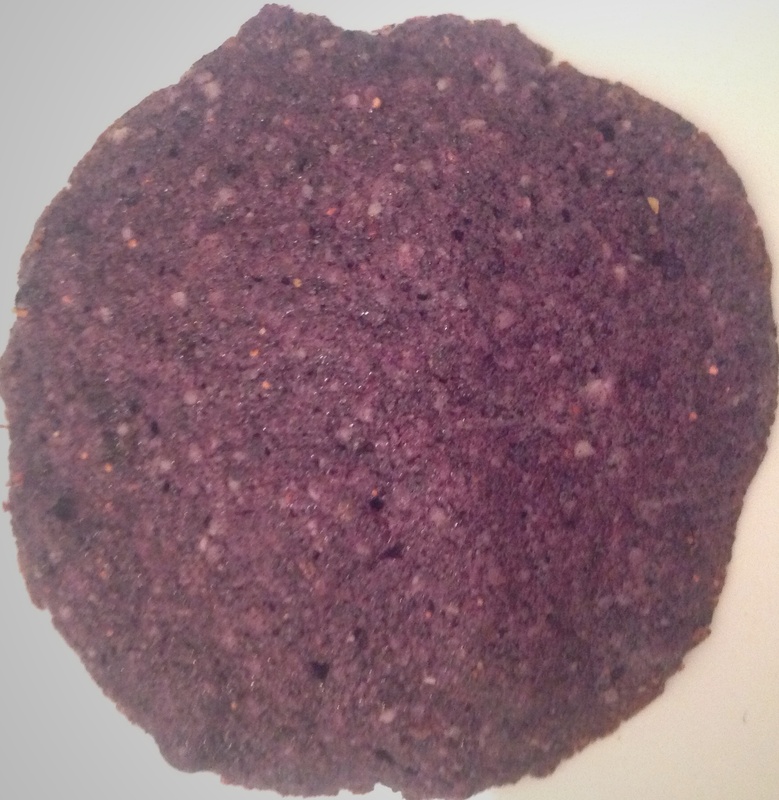 3.1 Wafer Cookie of blueberry powder. Blueberry pancake breakfast, deconstructed, part 1. 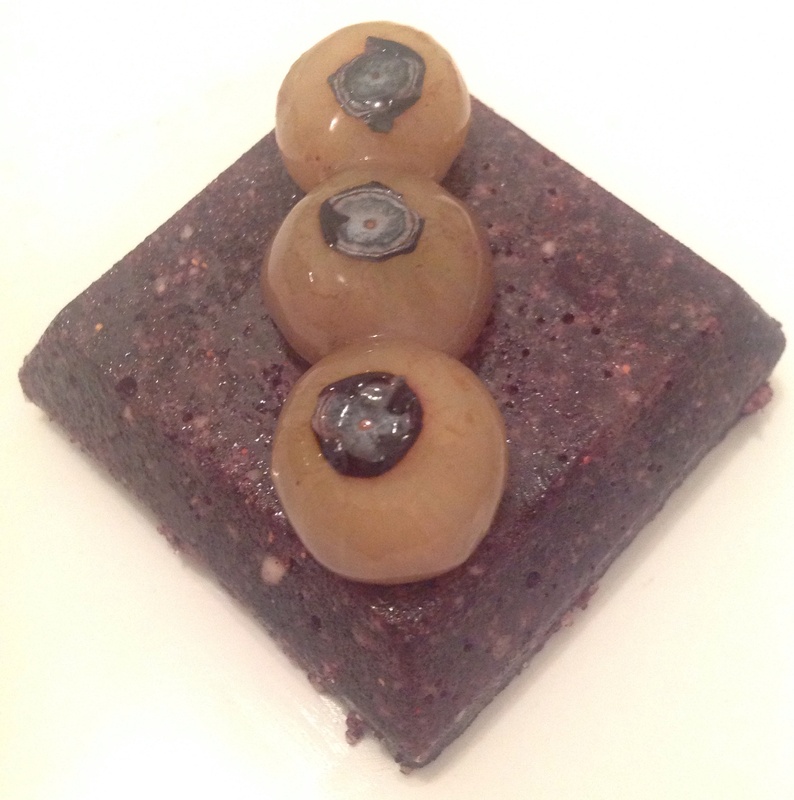 This recipe uses a powder made from freeze-dried blueberries. The powder has an intense, sour blueberry flavor. Using it requires a bit of care, though. Freeze-dried ingredients should be stored bone-dry, and added to liquid ingredients at the last possible moment. It tasted like dirt, and not in a good way. So I made a cookie instead. This powdered blueberry cookie is a hybrid of a traditional sugar cookie and a simple pre-packaged pancake. Sweet, and simple, with an echo of pancakiness. Then, a bright, tart blueberry finish. In a clean, dry spice mill, grind freeze-dried until a fine powder results. (Note: if you open your grinder too soon after processing, a cloud of aerosolized blueberry dust will rise into the air, then into your lungs. You should wait a couple of minutes after grinding before seeing what the results are. The Oompa-Loompas may not be around to save you.) About 3 tbsp. blueberry powder should result. Set aside in a dry place. Cream butter with almond flour, pancake mix, and confectioners’ sugar. In a separate bowl, whisk egg white and granulated sugar. Incorporate the egg mixture into the dry ingredients. A sticky batter should result. Mix in the powdered blueberry. Spoon onto a buttered baking sheet. Bake at 350 degrees for 6-8 minutes, or until the edge just begins to brown. Place on rack to cool. 2 tbsp buttermilk pancake mix. 1 white of a very large egg. This entry was posted in Blueberry, Studies and tagged blueberry, cookie, deconstruction, dessert, freeze-dried, pancake, recipes, Studies. Bookmark the permalink. Pingback: Blue Chocolate. | ostrich milk.